When buying a foreclosure, it is very important to figure out how much it will cost you to remodel the property. On average, professional house flippers report spending $12,000-17,000 to renovate a foreclosure and make it ready for re-sale. While every foreclosure will have its own set of unique problems, there are typical damages that frequently happen in such homes. Here is an overview of the most common problems you will have to fix in a foreclosure, as well as associated repair and renovation costs. When a home is located in a cold region and has not been “winterized”, there are certain things you will need to take care of. Make sure that you don’t turn on any utilities, before you inspect the condition of the pipes. 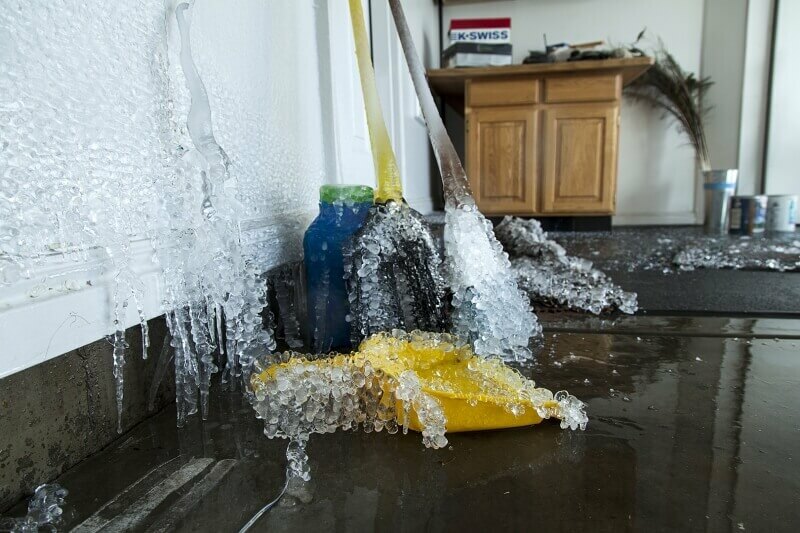 If there was a cold spell and the pipes cracked, turning the water back on may make it leak into the walls, ultimately resulting in major mold damage. It is also a good idea to hire a professional electrician to conduct a safety check on the home’s electricity, before restoring power. 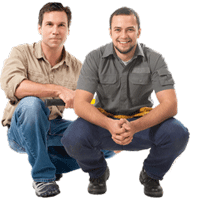 – Plumbing repair costs are usually high. To fix burst pipes if they are easily accessible costs $150-200, if you hire a plumber. Alternatively, you can fix this yourself for $20-50, with tools and materials from the Home Depot. – If there are bigger piping issues, the average cost of re plumbing a house is $7,500-11,000 for a 1,500 sq.ft. size property. Untrimmed trees, vines and bushes can be the cause of major deterioration. Vines may crawl into the windows and under siding, and tree seedlings may send roots down into the foundation. If the roots and branches grow under the siding, you can remove them yourself. If there is foundation damage, then depending on the severity, it can cost from $300-1,000+ to fix the problem. 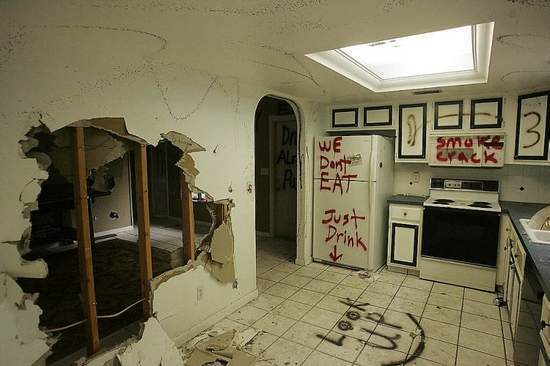 Many properties are severely damaged by their last owners, who choose to deface the house once they know they will lose it. Frequently, they rip out cabinets, fixtures, large kitchen appliances, expensive piping (such as copper), electrical wiring, toilets and anything else they can get loose and take with them. Many put large holes in the walls, rip out carpeting and destroy plumbing. It is also common to see acts of vandalism from local thieves. In addition to taking anything that the homeowners left, they also steel air conditioning units to sell the copper tubing for scrap. Ripped out air conditioners are one of the main reasons for mold problems (see below), especially in regions with high humidity, such as Florida. A hole left from the AC lets the humid air into the house, enabling mold to flourish. Potential vandalism is one of the reasons why actually seeing the house before you buy is so important, as you have no way of predicting the extent of interior damage that has been done. If you are not able to see the property, inquire whether there has been vandalism and try to get as much specific information as you can. 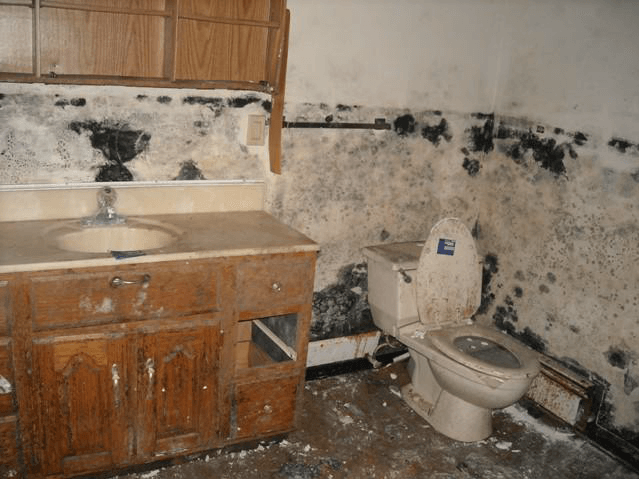 Mold is the Number 1 problem in foreclosure homes located in humid areas. Sometimes the issue is so bad that the walls are black from floor to ceiling. Once mold takes hold of drywall, there is no way to fix it; you would have to replace the infested drywall in its entirety. In less humid regions, mold is not as severe, but it is an expensive problem to fix nevertheless. In some cases mold may just be starting, may be hiding inside the wall and may not yet be visible. This is why it is critical to inspect the house for any leaks, which are the source of mold infiltration. Mold removal and subsequent house repairs can be as low as $200-400 and as high as $20,000-30,000 or more, if you need to replace flooring and walls. Animals will often make a house that has been abandoned for a while their new home. For example, in Florida, high grass on the lot becomes a home for snakes. Other animals, including panthers, and wild boars also roam the property. In other regions, it is common to find bats (in the attic), skunks (in the ventilation system), rats, bees and fire ants. It is easy to get rid of larger animals, once you get past the shock of discovering their presence, and much more difficult and costly to exterminate small rodents and insect infestations. Damage to these systems is common in foreclosed properties, because there is no one to provide the necessary routine maintenance. -The heat exchangers on boilers and furnaces may corrode (especially if they have been exposed to humidity) and will require replacement. Cost: $3,000-5,000. 7. How much does it cost to fix a foundation? If a house’s foundation is not properly watered, it may crack, ruining the structure of the home. You can budget $500-2,000 to repair foundation issues. Without proper maintenance, the roof may leak, resulting in mold and costly repairs to the home’s interior. If the roof is extensively leaking or is too old, it may be wise to replace rather than repair it. Chimney re-flash: $500-750 for lead and $1000-1500 for copper. Redoing the valley: $75-100 per linear foot. Ice Belt installation (to solve / prevent ice dams): $75 / ft.
Average asphalt shingles roof prices are $3-6/sq.ft depending on shingle quality. Istalling a single ply flat roofing membrane costs $5.5-10/sq.ft. Ultimately, you need to be aware that many if not most foreclosures on the market will be in a very run down condition (even if no vandalism was done), because the previous owners did not have the money to take care of it. 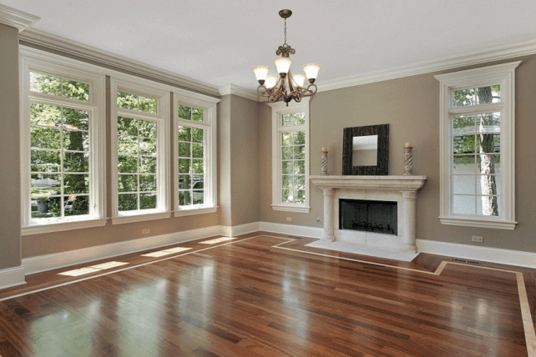 You need to be prepared to do major renovation throughout the house. Once you take care of the damages, you can move on to renovating the property. While sky is the limit on how much you can spend on remodels, here is a run down of the most common projects and their average costs. Putting a fresh coat of paint is the quickest and least expensive way to breath new life into a property and make it look attractive. Its best to avoid colors that are part of the latest remodeling fad, and go for warm, neutral classic tones, that most people find pleasant. These include shades of white, beige, cream, light grey. Keep in mind that before you can repaint the walls and ceilings you may need to repair any damaged drywall. Usually, foreclosed homes have holes in the drywall that need to be patched up. The average cost to repair drywall ceiling or walls is $250-400 depending on the scope of work and size of damaged area. 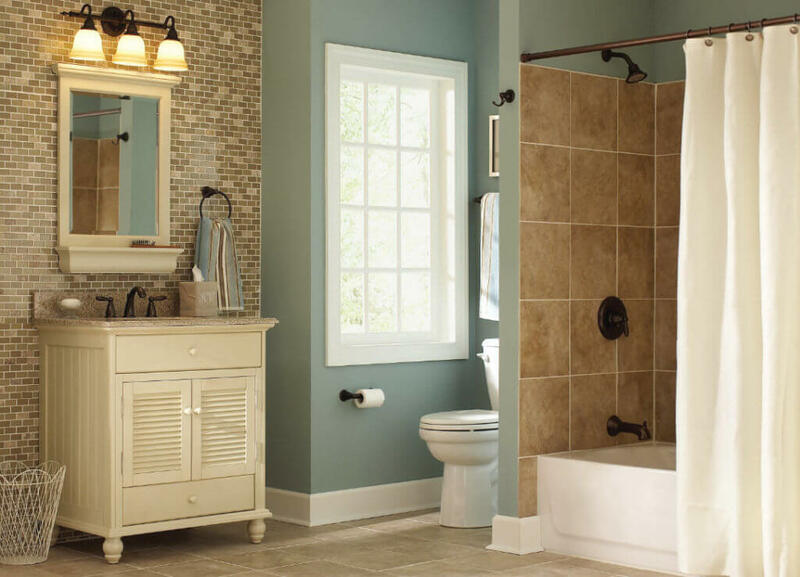 Nice looking bathrooms are one of the hottest selling points for prospective buyers and rents. If you are on a tight budget, even modest updates can go a long way to making a lasting impression. Consider getting all new fixtures, quality lighting, new wall and/or floor tiles. If you have enough money, you want to also replace the tub or shower enclosure, add radiant floor heating, expand the footprint of the bathroom etc. Renovating an old, shabby kitchen is a must if you want to get a good re-sale price of your foreclosure. 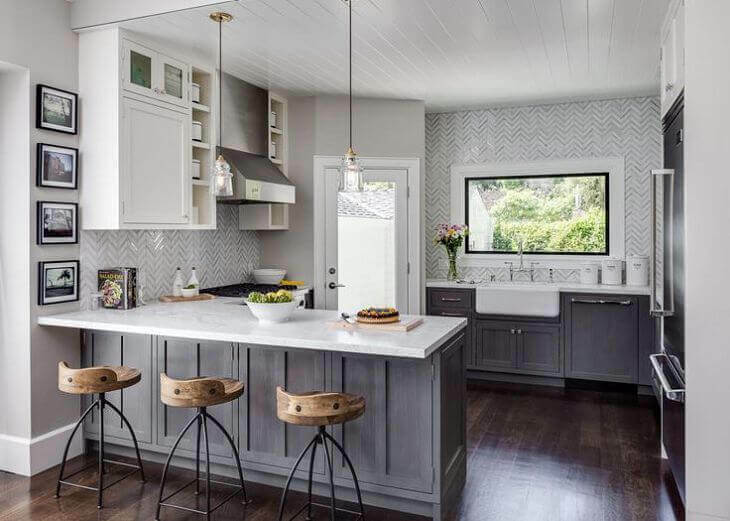 Most buyers want a well-designed, functional kitchen. Top updates to consider are: replacing kitchen cabinets and countertops, getting a new sink, faucet, replacing any old appliances. Additionally, you can install new flooring, add backspash tile, and repaint the kitchen. Remodeling a kitchen can quickly become very expensive, depending on the materials you use. It is advisable to do get mid-range quality materials and appliances that most buyers will approve of. If this will be a rental property, you can get away with low-level upgrades and materials. Is there a way that you can email me this page on the costs of repairs on a rehab home? ?